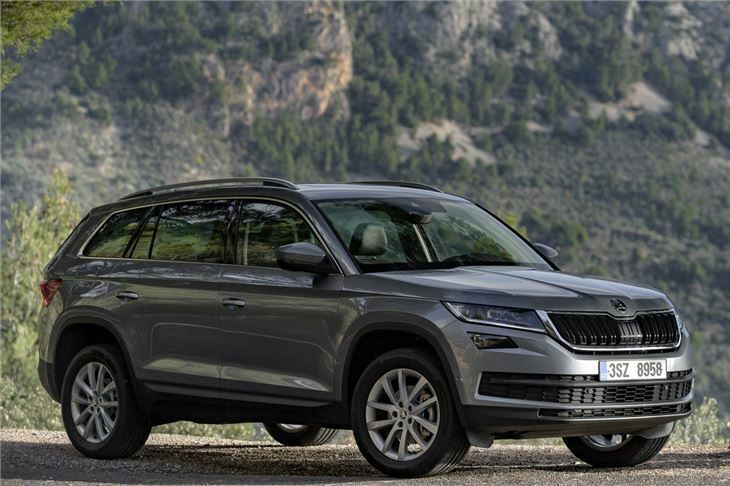 Donald Trump is in the White House, Britain has left the EU and Skoda is launching a big seven-seat SUV. Welcome to 2016 people. Who would have predicted all of that happening - and that the last one wouldn’t be the most surprising? 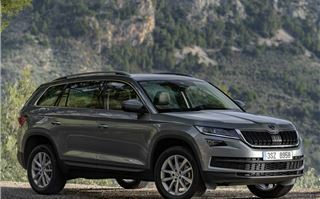 So here we have the Kodiaq. Kind of like a bigger Superb that’s a bit higher up. But isn’t this just another SUV? Well, apparently not, because it’s created quite a stir, especially among you – our lovely HonestJohn.co.uk readers. You crazy lot. Not that big SUVs are thin on the ground. There’s the very good Kia Sorento and the Hyundai Santa Fe – both available as seven-seaters, unlike the new Ford Edge (when will you learn Ford?). But the fact the Kodiaq should mirror the qualities of the excellent Superb means it promises much. Add in Skoda’s usual value for money and it’s not hard to see the appeal. Indeed, Skoda UK already has 26,000 people who are keen to buy one. More than double the amount for the Superb. And it’s the Superb which has clearly influenced the Kodiaq in terms of looks. We think it’s a decent looking thing, with a neat if not wow-look-at-that design. And don’t be fooled by the pictures – it’s not actually that bulky. In fact, it’s only slightly longer than an Octavia which means it’s more than manageable when it comes to trying to parallel park the thing. Plus, SE models and above come with rear parking sensors. You’ll never guess that the interior is like. Well you will. Because it’s like a Superb. Which is a good thing in our opinion. It has the same high quality feel and attention to detail plus there have been some improvements. The touchscreen is more neatly integrated and the system has a new look while the buttons around the gear lever have been tidied up. Overall it’s comfortable, easy to get on with and feels durable. It’s impressively spacious too – as you’d expect given the size. 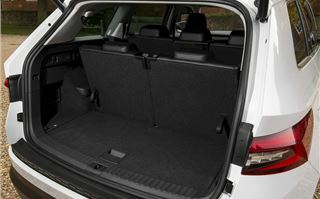 Plus, the boot is massive with a usefully wide opening. If you’ve got one of those twin pushchairs, you’ll certainly appreciate the room. 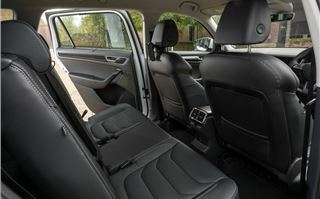 The rear seats are adjustable and have reclining backrests – useful when fitting child car seats. 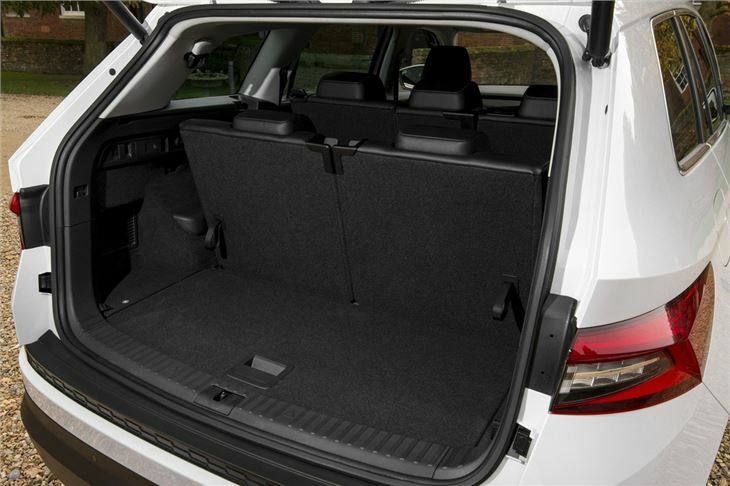 On a seven-seater there’s 630 litres of boot space – not far short of a BMW X5. Lift those extra seats and this drops to 270 litres which is still enough for cabin-sized luggage and a decent amount of shopping. If you go for a seven-seater - standard on SE L models and above – you get the extra row in the back which is alright for ‘occasional’ use but not much more. There’s no Isofix there and getting in and out is awkward. It’s no better or worse than other SUVs this size plus the seats at least fold flat into the floor. 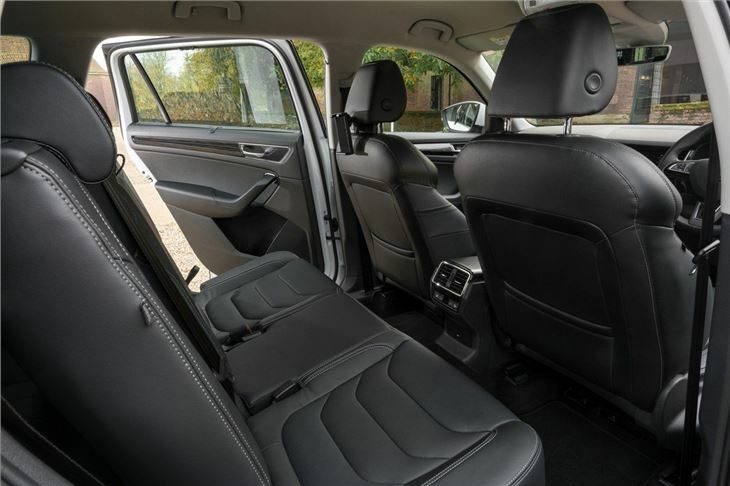 The ‘normal’ back seats are good with plenty of hat space and a decent amount of legroom although it’s no match for the epic stretch-your-legs-out space in the Superb. 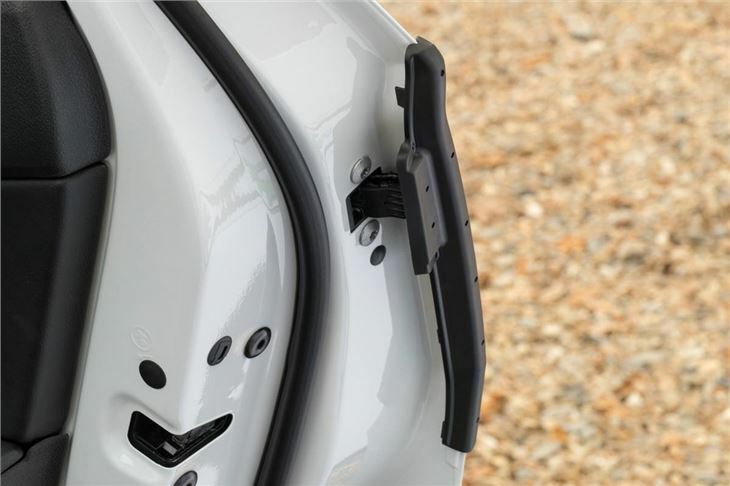 The Kodiaq has plenty of Skoda’s ‘simply clever’ features which include everything from a simple ice scraper in the fuel filler cover to umbrellas hidden in the front doors. 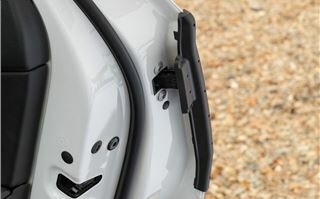 There are seven new extras for the Kodiaq including a clever new door-edge protection system that flips out a plastic guard for the edge of the door as soon as you open it. 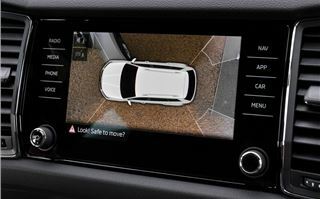 Very simple but very useful, especially given the width of the Kodiaq. It’s everything you’d expect when it comes to driving. Easy, comfortable and reasonably quiet. There’s very little wind or road noise, even on the motorway, while the ride is excellent making this a very comfortable long distance car. 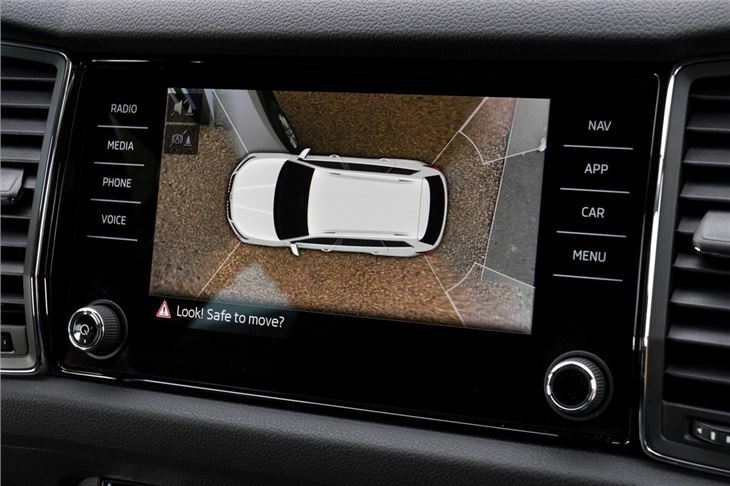 The steering is on the light side – it could certainly do with a bit more weight – but the Kodiaq is not a car designed for chucking around tight corners. What it does best is cover A-roads effortlessly. 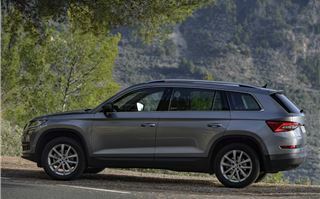 The cheapest model – priced at £21,495 – comes with the familiar 1.4 TSI petrol engine with 125PS, and is front-wheel drive. But as you’d expect, it’s the diesel that will be most popular, specifically the 150PS version of the 2.0 TDI. Choose this and you’ll pay at least £27k but it is the best fit for the Kodiaq, especially if you’re going to be regularly filling that boot with stuff and taking the kids out and about. To put that in context, the cheapest Santa Fe (a diesel) is almost £32k while the Kia Sorento starts at £28,500. It’s not the smoothest of diesels (although better than the Sorento) and we’re still not convinced when it’s paired with the DSG automatic gearbox as it can be slow to respond – but with the six-speed manual it’s certainly quick enough, thanks to 340Nm of torque which is available at low revs. The claimed figures say it will return 56.5mpg but as Real MPG for the Superb shows, you’re more likely to see mid 40s in the real world - still pretty good. 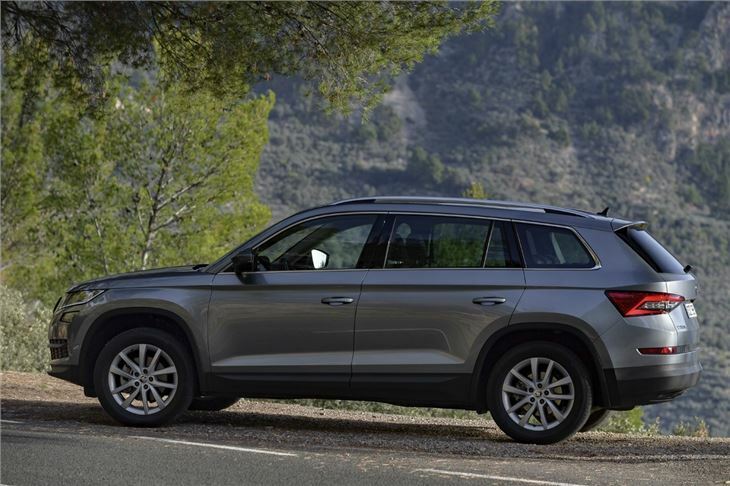 Skoda has got everything right with the Kodiaq. It’s the perfect family car and one that we have no doubt will have huge appeal. Comfortable, spacious and practical, it’s good value for money when you compare it with the competition. When it comes to affordable seven-seat SUVs, we’d choose the Kodiaq over its rivals every time. And if the Kodiaq seems too big, fear not. There is a new Yeti on the way, which will go on sale in early 2018. It will be similar in size to the SEAT Ateca and follow the same style as the Kodiaq but with a sharper look, or so we’re told. 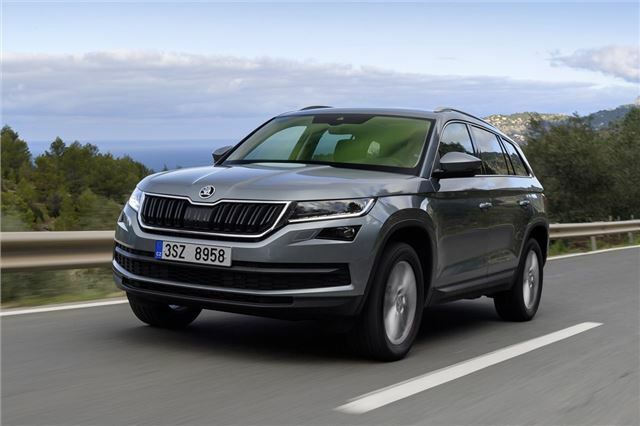 The Skoda Kodiaq is available to order from November 30th with the first cars arriving in March 2017.